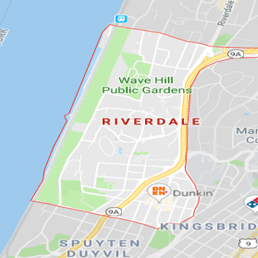 Natural disasters and plumbing emergencies can lead to serious water damage in Riverdale, University Heights, and Ludlow. Water can damage floors, walls, and ceilings in commercial and residential properties in less than 48 hours. Fortunately, you can get same day help handling water damage by contacting 911 Restoration of Riverdale any time of the day or night. Our water damage restoration techs can respond to emergency calls in Riverdale, Ludlow, and University Heights within 45 minutes, 24/7/365. Let us make sure your property is returned to pristine condition after a flood or a plumbing emergency. The water damage restoration techs at 911 Restoration of Riverdale have the experience and training to handle all forms of damage caused by water. Get a Fresh Start by contacting us for the professional help you need right now. Water damage restoration can return properties damaged by floods and pipe bursts to better-than-new condition. The techs at 911 Restoration of Riverdale are licensed, bonded, and insured to handle all aspects of the repair and renovation process. We also understand that the water damage restoration process is not over until your property is completely restored. Our techs will focus on removing all traces of moisture using professional-grade pumps, air movers, and blowers. Techs can tear out damaged building materials while checking your property for structural damage. You can count on us to fully restore your property while keeping an eye out for fungal growth with a free visual mold inspection for property owners only. You can recover quickly from a mold infestation with mold removal services from 911 Restoration of Riverdale. Mold remediation involves stopping the spread of mold spores and clearing out any spots of mold infestation in your home or business. You deserve help handling mold decontamination after an infestation in Riverdale, Ludlow, or University Heights. Let the mold removal techs at 911 Restoration of Riverdale take charge of the restoration process today. You can contact us to get professional help immediately so your property will be brought back to perfect condition as quickly as possible. It takes skill and experience to handle water damage restoration in Ludlow, University Heights, and Riverdale. 911 Restoration of Riverdale can provide you with all the services you need to completely recover after a pipe burst emergency or a flood. Our techs know what it takes to handle extensive damage caused by a flooded basement or a sewage backup. Techs can take charge if you need mold removal services. Let us handle all aspects of the mold remediation process, from a mold inspection to mold decontamination. Flooded basements, ceiling leaks, and ice dams can all cause a lot of damage. You can reduce the damage to your property by getting professional help immediately. 911 Restoration of Riverdale focuses on staying on the cutting-edge of the property restoration field. Let us use top-of-the-line equipment and techniques to restore your property. You do not have to try to recover from a water damage emergency on your own. Get the Fresh Start you deserve by contacting the pros at 911 Restoration of Riverdale immediately. We can provide you with all the property restoration services you need. Call the disaster experts now!